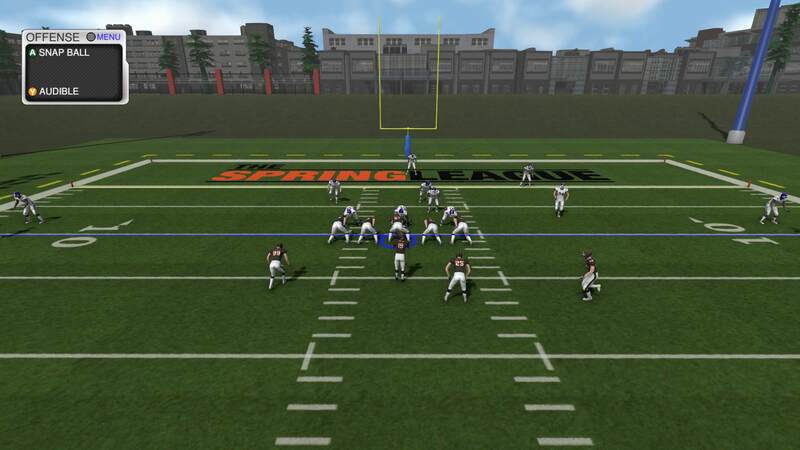 The Spring League has inked a licensing agreement with Canuck Play/Spear Interactive, to feature the league brand in a content update for Maximum Football 2018, scheduled to arrive in November. Read the full press release below. The Spring League, a professional football developmental league, announced today that the company has signed a licensing agreement with Maximum Football (Canuck Play/Spear Interactive) that will feature the league’s brand in an upcoming Maximum Football 2018 content update and future iterations of the game. Maximum Football will completely rebrand the game’s “Practice Mode” to The Spring League, allowing the user to develop their skills by scrimmaging plays at their leisure. The Spring League was founded in 2016 and is an elite development league and scouting event for professional football talent. Since the League’s inception, 1 in 5 of its players have gone on to receive invites to training camps and sign contracts in both the NFL and CFL. Maximum Football 2018 also features rule sets and field sizes for Canadian Football, US Pro and College Football. The free content update featuring the Spring League will be available to gamers in November. Maximum Football 2018 is available now for digital download on the PlayStation 4 and Xbox One. The Spring League was created in early 2016 to serve as a developmental league and showcase for professional football talent. With a current membership of four teams, the league conducts joint practices and games during the months of March and April. The Spring League also functions as a scouting event for the NFL and CFL. During the 2018 season, eighteen NFL teams, along with nine CFL teams, were in attendance to evaluate talent. So we will have 4 more teams to "practice" with ? No games -no league. Sorry I'm not seeing the point of this. Seems that better use of this license could be made. We simply rebranded the Practice Mode as the Spring League for this years game. There might be a Franchise mode in the future, that sort of thing will allow us to expand The Spring Leagues involvement! If you don't like the game move along. Plenty of games and life experiences you can enjoy. Well he is entitled to his opinion. But if it is something that the developers CAN realistically address, that kind of feedback is more important and actually beneficial to understand why a game is disliked. ...but his post was unrealistic and something that can't really even be addressed (garbage if not Visual Concepts association - that isn't really helpful at all). I have no plans of getting this game but applaud the effort. We could use a good generic football game and I hope they can continue to improve their game. Let me be the first to say CONGRATS Guys! This is a movement to something bigger. People nowadays LOVE to be negative, it gets them off. Being angry and bashing people that are trying to do something is their way of getting through the day it seems. Keep going and don't let negative Nancies come at you. Spear and the whole team, excited to see more movements down the line. KEEP GOING!!! The positive will drown the negative. I am sure more things are coming. Need that logo editor though! Thank you for the support. We'll continue to push on and surprise people eventually. Logo editor is coming in November too! When it comes to the logo editor, will we be able to utilize text within it too? Like if I wanted just to use "KENTWOOD" as the logo, Could I? Yes we were playing with that today, actually. There are letters and shapes in the logo editor. awesome to hear about incorporating TSL. That's a unique league to feature and could be a really cool springboard. I haven't had much chance to play with all the patches, hopefully I can today or tomorrow but it is awesome how much work you guys are putting into this. Don't let those few absurdly negative folks get you down, some people don't understand how impressive this is given your staff size and resources. Thank you for the support! Our first patch greatly improved the physics engine which cleaned a lot of the gameplay up from the retail release. Let me know once you play with the updated patches!